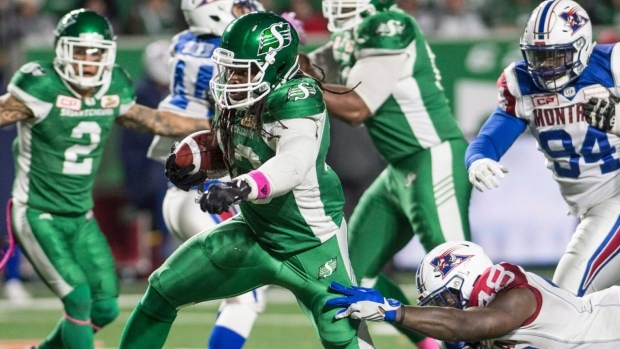 The Saskatchewan Roughriders have placed running back Trent Richardson on the suspended list and released running back Cameron Marshall. TSN CFL Reporter Farhan Lalji has been told that Richardson will not return to the Roughriders. Per Lalji, the running back is dealing with some personal issues that he's prioritizing ahead of playing football. Richardson appeared in four games with the Roughriders in 2017, rushing for 259 yards and two touchdowns on 48 carries. The 27-year-old spent time in the NFL with the Cleveland Browns and Indianapolis Colts in the NFL prior to his stint with the Roughriders. He was the third overall pick of the 2012 NFL Draft. Marshall played 10 games last season and rushed for 543 yards and two touchdowns on 101 carries.